If you are a developer then you should be aware of some of the amazing and useful resources which are available online.While there are plenty of quality testing products like Rapise test scripts, sometimes you need something web based.You can find dozens of free online tools for web development which stand out from the crowd.These online tools make your life easier and you can save a lot of time while in the developing process of your projects. 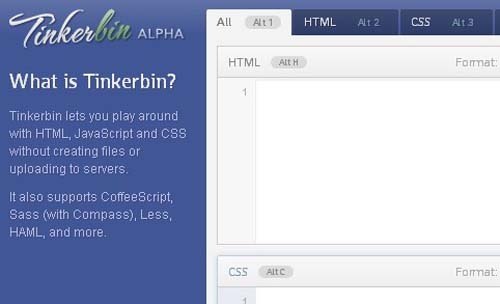 So,one of the most useful web based tools are real-time testing tools which means you don’t have to download a software or use a local web server but see the results instantly. 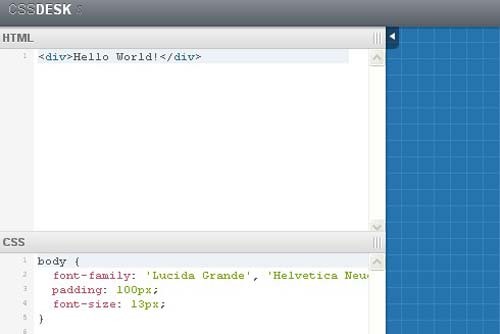 Write and edit HTML and CSS right in your browser. 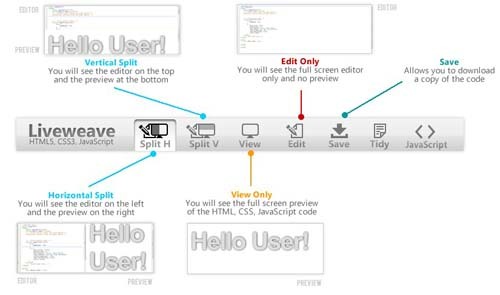 Instantly preview your work. 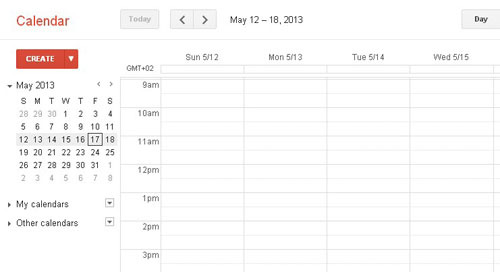 Then host and share your finished pages with a single click. 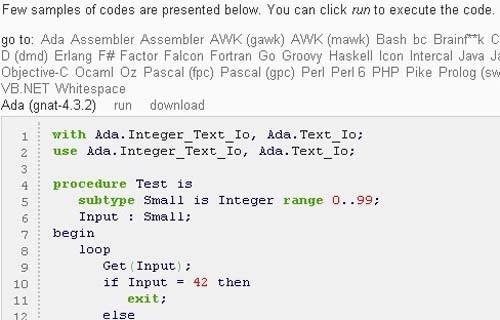 codepad was created by Steven Hazel and it’s an online compiler and collaboration tool.It’s a pastebin that executes code for you.The usage is simple.You paste your code, and codepad runs it and gives you a short URL you can use to share it.Paste the URL into chat or email to get help or to show someone how to do something. 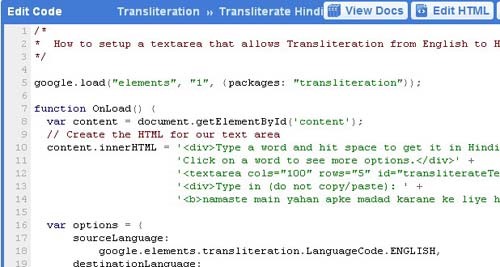 Or just try things out when you don’t have an interpreter handy. It works well on many phones. 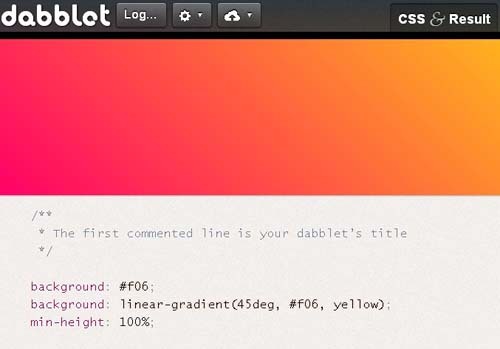 dabblet is an interactive playground for quickly testing snippets of CSS and HTML code. 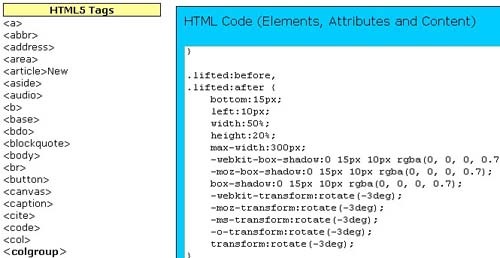 It uses -prefix-free, so that you won’t have to add any prefixes in your CSS code. 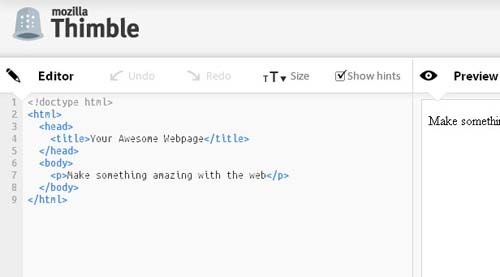 You can save your work in Github gists, embed it in other websites and share it with others.It currently only supports modern versions of Chrome, Safari and Firefox. 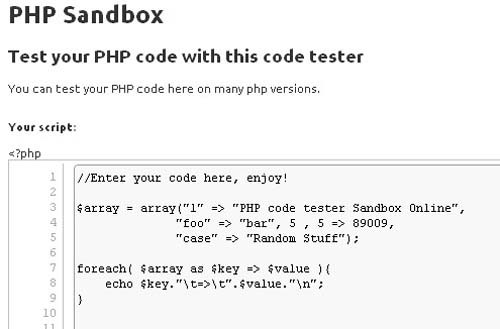 Google Code Playground is another great online tool test and run your code without opening an external editor.All of the API’s are loaded for you in the Pick an API box. 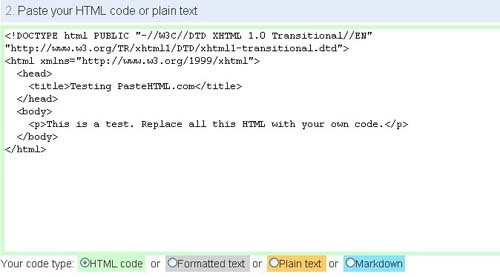 Ideone is something more than a pastebin; it’s an online compiler and debugging tool which allows to compile and run code online in more than 40 programming languages.Choose a programming language, enter your source code and input data into text boxes. 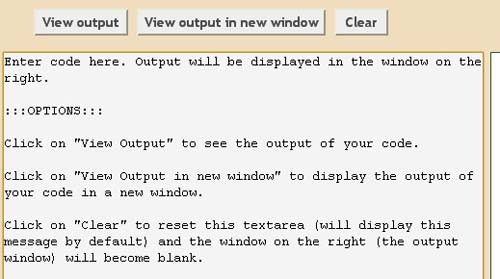 Then check or uncheck run code (whether to execute your program) and private (whether not to list your code in the recent codes page) checkboxes, click the submit button and watch your snippet being executed. 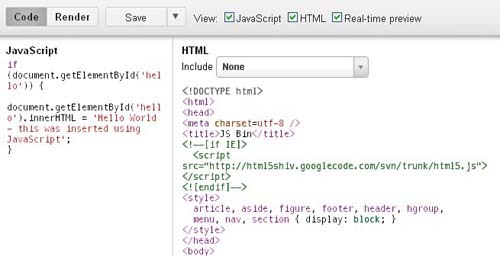 Another online tool for editing your code snippets.Practiocode renders HTML, CSS and VBScript. 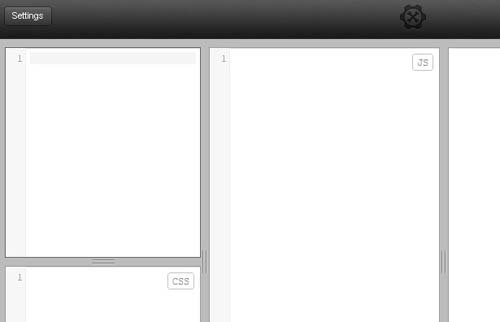 CSSDesk is a website that allows developers to quickly test snippets of CSS code, and watch the result appear live. 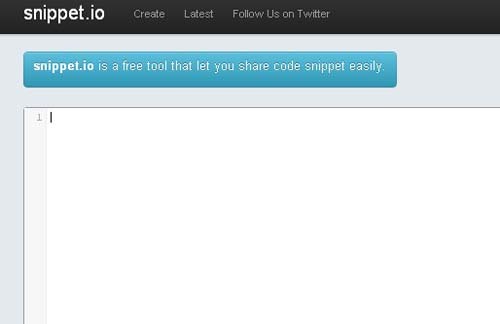 Snippet.io is another free tool that let you share your code snippet easily. 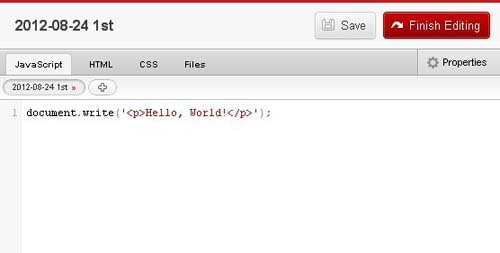 It’s a simple tool to.You just paste your code snippet and see the result. 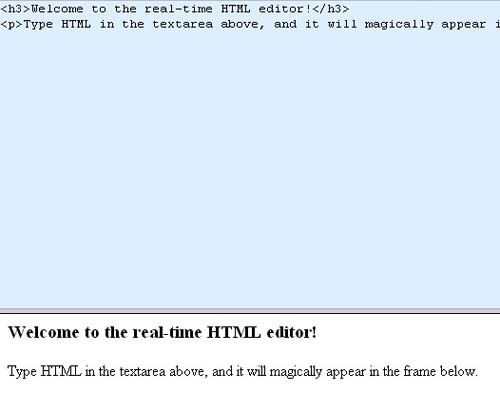 It’s another real-time playground tool to test your HTML code. 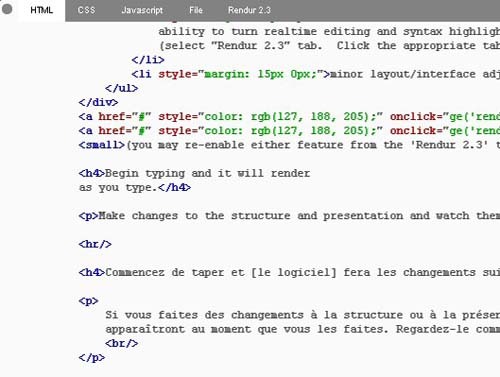 Rendurr is an another interactive playground to test your code snippets. 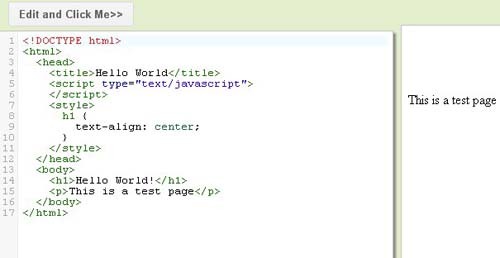 Similar like other HTML playgrounds,you just paste your code and see the result in browser window. 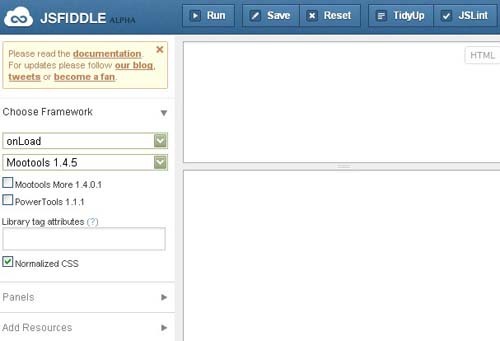 Woo loads I normally just use jsfiddle.